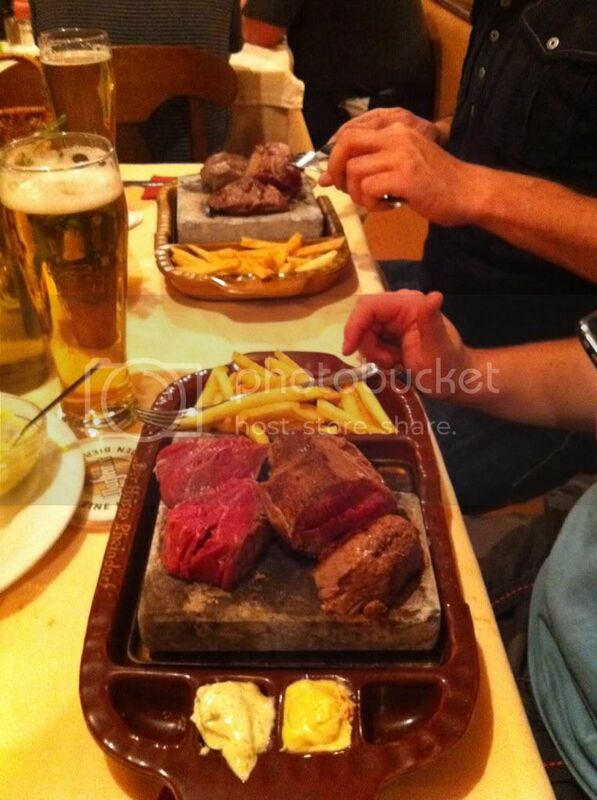 Nice...always wanted to try one of those hot stones. Does it come raw and then you cook it to how you like it? I bought their starter kit and put a kilo of sirloin in my new steak fridge yesterday. I'm having mates over for a steak night on Thursday. I'll be sure to post pictures of our feast!! Recently, i have been eating fillet steak, but tonight (well last night) at 11.00pm, i had a rib eye steak served with boiled rice, a fried egg and garden peas. What made it even more enjoyable was the Tesco finest rib eye was reduced to £2.19. Bargain . My brother had the other one. I'm stuffed now. No afters thankyou. you still around Nick, I wondered how this turned out? You’ve been thinking about it a long last night time! Doing it is not enough - it has to be done right. Hahaa Hiya Simon. Oh I so love a good steak and I remembered this good old thread! I’ve been on here ages and never saw this thread before.ive been missing out! I look forward to contributing with a pic! Ive been buying a few from Costco recently. They have USDA Corn Fed Rib eyes and New York Strips, plus their aged aberdeen angus fillet is pretty nice. I do like a Costco steak. Nice size portions !